I'm happy to have a release day post for a fellow Pitch Wars mentor! 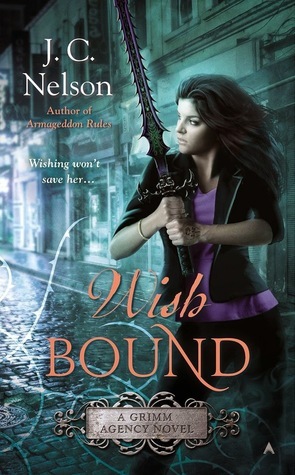 Check out WISH BOUND. Even when she’s not starting it, trouble follows Marissa everywhere. First there was the incident with the homicidal Fairy Godmother. Then there was the time she accidentally started Armageddon. But the problems that always seem to arise on Marissa’s birthday take the cake. A Texas transplant to the Pacific Northwest, JC Nelson lives with a family and a flock of chickens near rainy Seattle.